Our beautiful uPVC French Doors will add an element of European charm to any home in Romford or the Essex area. 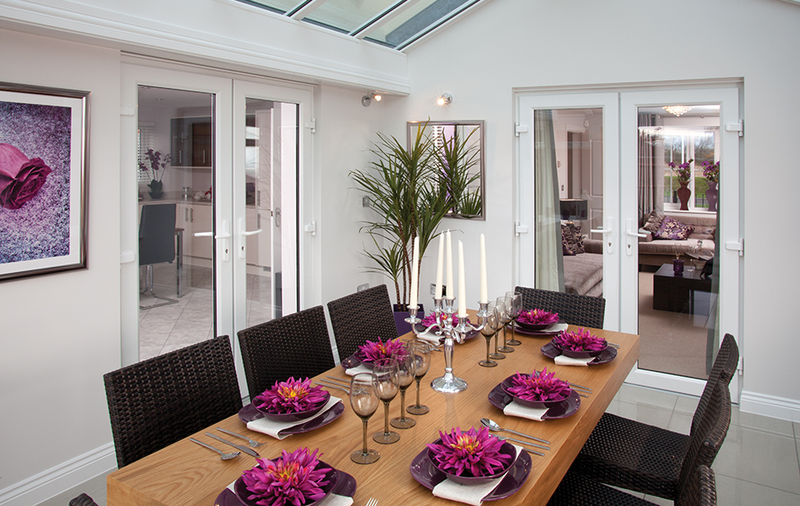 Our uPVC French doors from Eurocell offer superb performance and aesthetic to our customers in Romford and Essex. They are designed to truly make the most of your living space, opening fully outwards for ease of access. As experts in double glazing, we take pride in providing you with the very best products available. 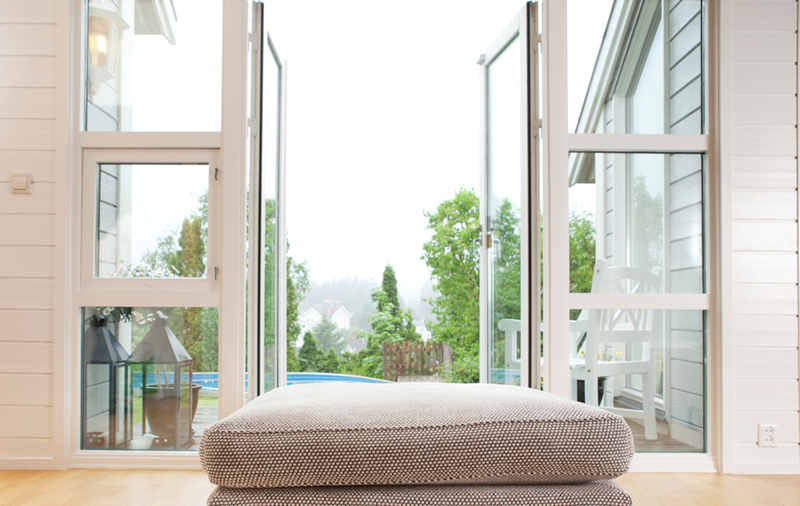 The beauty of our uPVC French doors is that they give an airy and spacious feel to your room. They are incredibly popular throughout Essex, as they provide excellent access by combining and wide opening and low threshold. Our uPVC French doors are versatile, making a fantastic back door from your dining room, lounge or kitchen into your garden, and they can also be incorporated into your conservatory. Our uPVC French doors will create a stylish and beautiful entrance to your garden in Romford, enhancing the appearance of your home. Enjoy a cultural flair with our set of bespoke doors. Transform the aesthetic of your home in an instant. With no time-consuming and costly maintenance, our double glazed French doors will look amazing for many years to come. Enjoy the benefits, without the chore of having to clean it often. All it needs is a quick wipe down with a damp cloth and soapy water to stay looking fresh. Clever technological advances combined with outstanding materials, make our uPVC French doors exceptionally energy efficient. As well as this, the tight fit within the allocated space is perfect for trapping heat inside your home, gently warming it up to the perfect temperature. Our uPVC French doors are fitted with incredible weather seals which have been created to withstand the most extreme weather. The double glazed glass used within each frame ensures no rainwater can get in, keeping your home dry and protected from the outside weather. Our uPVC French doors are fitted with superb high security locking mechanisms, keeping your family and home in Essex safe and secure. We utilise the latest technological advancements to ensure you and your family have nothing to worry about. 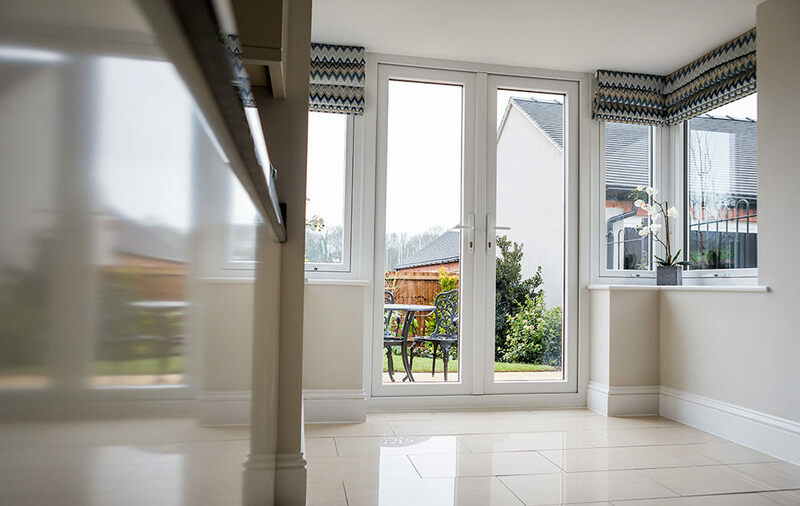 Our stunning uPVC French doors enhance the brightness of your room; the floor to ceiling glass maximises the amount of natural light coming into your home. With slim sightlines and larger glass panels, you can be sure to benefit from a brighter home. We know that when you’re looking outside your windows or doors, you want to make the most of the views. The beauty of our uPVC French doors is enhanced by the clean, crisp and smart appearance created by the slim, sleek sightlines of their profiles. 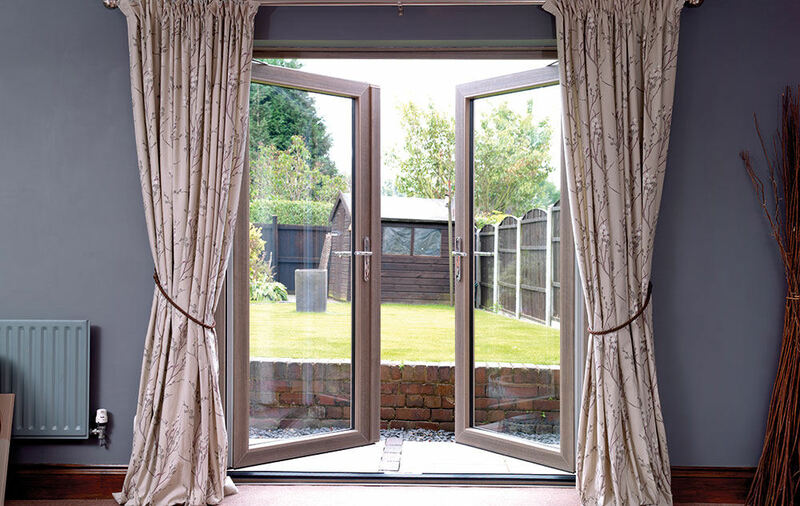 Whatever space you have available, our uPVC French doors can be adapted to suit, as they come in a range of sizes up to 2 metres wide creating a stunning entrance to your garden. Create a bespoke set of uPVC French doors with our incredibly versatile range. 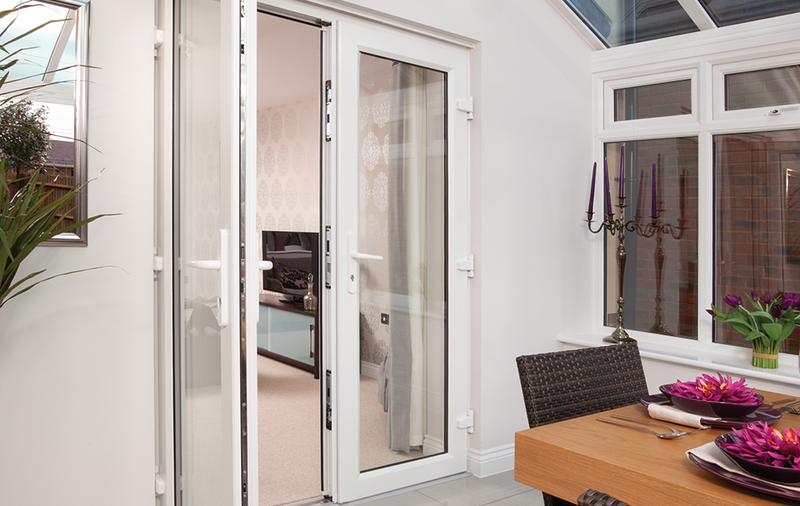 Our uPVC French doors are available with a low threshold to provide complete accessibility for all. Our low-threshold doors comply fully with Part M of the Building Regulations and the Disability Discrimination Act (DDA). Designed to complement your home or conservatory in Essex, our double glazed French doors are available in a variety of appealing colours and finishes. Choose from a range of colours and woodgrain effects to complement your home. We are proud to install high performance uPVC windows across homes in Romford and Essex. The stunning range of doors are sure to suit modern and traditional homes alike, enhancing the aesthetics and European flair. To find out more about the range of beautiful uPVC French doors we offer for homeowners in Romford and Essex, get in touch with us today! You can call us on 01708 723131 and talk to our experts today! Give us a call today! Alternatively, send us an email using our online contact form and we will get back to you as soon as possible. Your email will go through to our dedicated team of experts who are ready to ensure you are getting detailed responses to your questions. Or, if you are looking for a quick quote, use our online quoting engine today. It is cleverly designed to give you a realistic quote of your favourite products. All you need to do is enter a few details and we will provide you with a free, no obligation quote in minutes.